Whether it’s for a single semester or for a full academic year, choosing to take advantage of IT Tralee’s study abroad opportunities, allows you to turbo charge your CV while simultaneously having the experience of a lifetime. 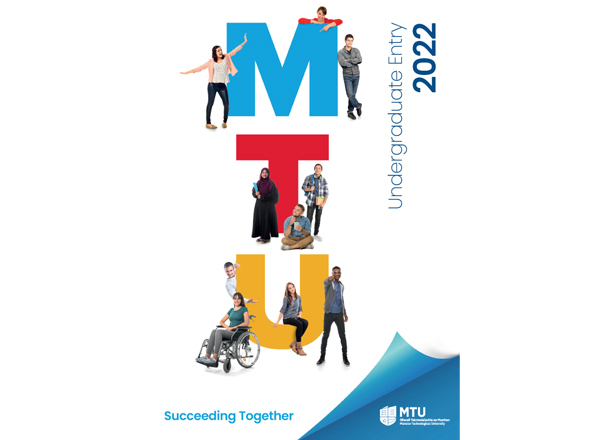 With almost 100 partner Universities across Europe and beyond students at IT Tralee can choose from a huge network of possible destinations. Please note that there is supplementary support for students (and staff) with physical, mental or health related conditions who wish to engage in an Erasmus + mobility. Students receive assistance with travel, accommodation and academic arrangements for their time abroad. Turbo- charge your CV! Having completed a study abroad programme helps you to stand out from the crowd in a competitive jobs market. Expand your education outside of the classroom during your time abroad. Build life-long friendships and networks with people from around the world. Gain the ability to thrive in and adapt to a culture different from your own. Learn how to live & in another country, which broadens your cultural horizons in turn enhancing your understanding of Ireland, especially as others perceive it. What if I don’t have a strong ability in a 2nd language? A number of IT Tralee’s partner Universities offer programmes taught through English even when that is not the native language of the Country they are located in. Students from Tralee have been able to study in France, Germany, the Netherlands, Spain & Turkey among others because they’ve been able to study subjects taught using English. Business Studies & Tourism subjects through English are the most widely available. A significant number of programmes at IT Tralee incorporate a work based learning period and many students decide to choose an organisation in another country. There are considerable benefits in completing a work placement in Ireland, but deciding to go abroad for an international work placement adds another dimension entirely and that’s precisely what a growing number of students from IT Tralee are doing every year. IT Tralee students have gone on work placement recently to locations as diverse as Norway, France, Italy, Turkey, Spain, Lesotho, Finland, USA, & Finland. Students can search on ErasmusIntern.org for placement opportunities. ErasmusIntern.org is an EU supported website that provides an integrated market place that aims at bringing together internship providers and students seeking an internship opportunity abroad. How does it work with my current programme of study? Each student in IT Tralee is normally expected to complete 30 credits each semester. When a student studies abroad, they are expected to earn the equivalent number of credits in modules that are appropriate to the students programme of study. Most European Universities use the ECTS (European Credit Transfer System) as a common educational credit currency - IT Tralee's credit system is based on the ECTS system i.e. 1 IT Tralee credit =1 ECTS credit. The modules selected by a student for their study abroad period do necessarily need not be exact matches in credit weighting to modules in IT Tralee, rather the overall number of credits needs to be aligned i.e. if you are studying abroad for 1 semester you should expect to earn 30 ECTS, for 1 year (2 semesters) 60 ECTS. The proposed programme of studies (including associated ECTS) is agreed upon between the student, the international office, and the relevant head of department in a document call a learning agreement prior to the student being approved to study abroad. Please contact the international office for more detailed information. If I go abroad to study or on work placement, will there be funding available? The EU funded Erasmus programme offer mobility grants for study abroad and work placement in EU & EEA countries as well as Norway, Iceland, Croatia, Turkey & Switzerland. If you qualify and are selected as a Erasmus student, you will receive a mobility grant. This normally covers transport costs only. If you receive a maintenance grant while studying in Ireland this grant will be continued for your study time abroad. In which Countries can I study? Hochschule für Technik und Wirtschaft (HTW) Dresden – Uni. of Applied Sci.